FacilitiesThe establishment offers a wide range of facilities to guests, allowing them to enjoy a comfortable stay. Services and facilities at the hotel include internet access and wireless internet access.RoomsIn most accommodation units, guests can enjoy a balcony with pleasant views. 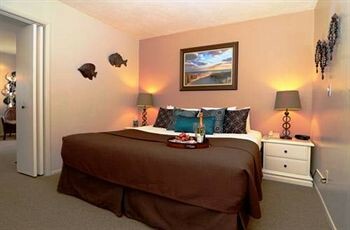 Many of the rooms also offer a sea view, adding to the ambience. Cots are available for children. In addition, a fridge, a microwave and tea and coffee making equipment are available. An ironing set is also available to guests. Each accommodation unit offers internet access, a telephone, a TV and wireless internet access. A hairdryer can also be found in each of the bathrooms.Sports/EntertainmentA hot tub provides an opportunity for relaxation. MealsBreakfast is bookable as a board option.